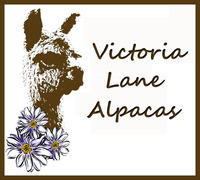 Openherd: Victoria Lane Alpacas LLC - Get great deals on alpacas in Openherd auction lots! 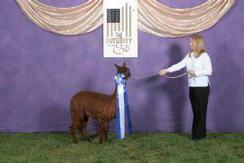 This True Black and Wht Torbio son has produced solid and multi ribbon winners, and even a AOBA national Champion female. 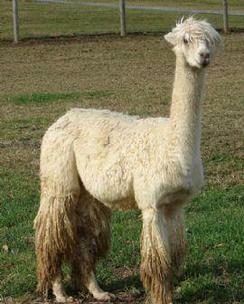 His frame is solid and square with very straight lines that come through to his cria. 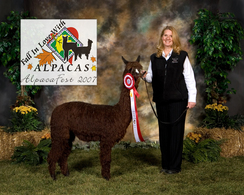 Our 2010 male cria, CCSS Mancha by Machismo, took 1st place Halter and Best of Show Suri Fleece at the Spring Alpaca Show 2011. 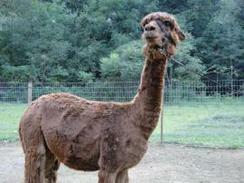 Carmen San Diego is a beautiful medium brown production female. 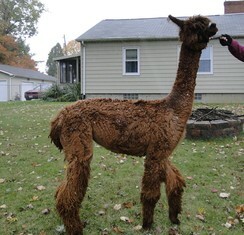 This girl has produced some fine show models and her 2011 cria was no exception. 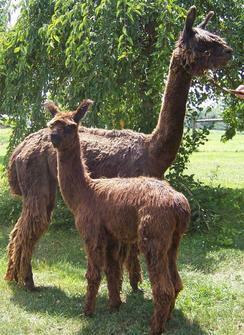 Carmen gave birth to a beautiful medium brown female in September 2011. Karina has it all- luster, locks, and perfect conformation. 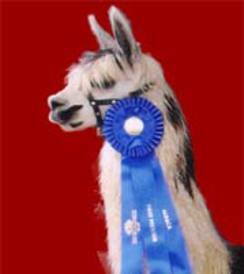 If you decide to purchase Carmen, she comes with your choice of a breeding to 17 time Champion Balboa or 10 time Champion Diamonte.